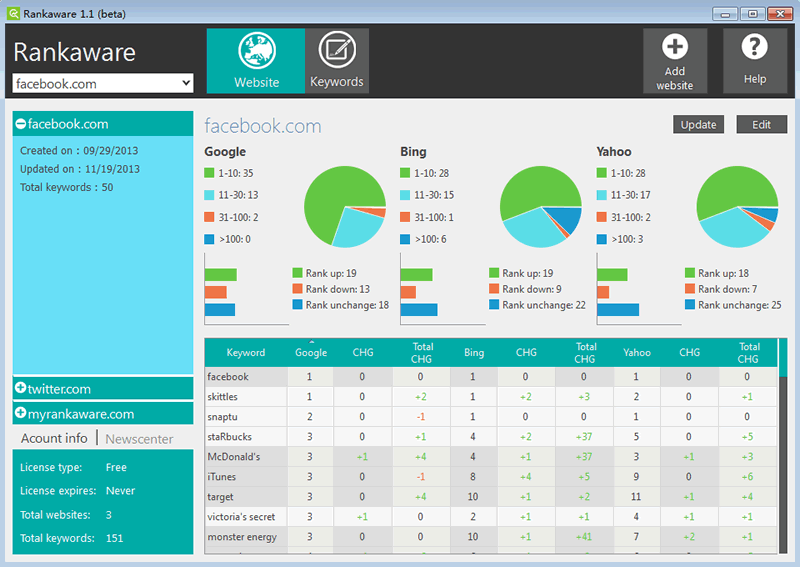 Rankaware is an SEO tool that makes keyword rank checking and monitoring fast and easy. This keyword rank checker software performs batch SERP position checking for targeted keywords on Google, Yahoo, Bing and tracks keyword ranking performance over time. Using intelligent self-learning technology, Rankaware is able to provide accurate results in intuitive charts and tables and generate scheduled, professional, customizable SERP report in different formats.